The Ceramic Cup pull by Liberty is inspired by farmhouse décor. Solid ceramic is accented by a brushed nickel frame. Ideal for cottage style kitchens and bathrooms. The Liberty 3 inch Polished Brass and White Ceramic Insert Spoon Foot Pull is a lovely accent for traditional or contemporary styles. It features a 3 inch center-to-center design for easy installation. The metal base material is built for durability. 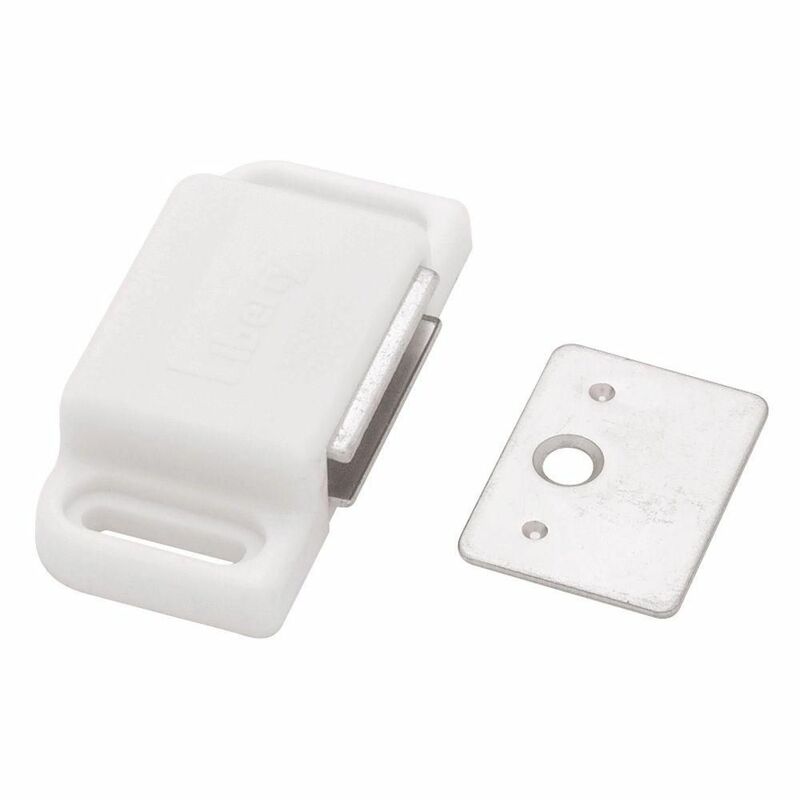 Heavy Duty Magnetic Catch with Strike WHITE The Liberty Heavy Duty Magnetic Catch with Strike is ideal for wardrobe and cabinet doors. Its magnetic pull closes doors securely. Magnetic catch provides complete and secure closure. Heavy Duty Magnetic Catch with Strike WHITE is rated 4.2 out of 5 by 24. Rated 5 out of 5 by Moosie from Worked well to secure our wood shutters to the frame.... Worked well to secure our wood shutters to the frame. Rated 5 out of 5 by Kathleen from Picked up at my local Home Depot locker on time.... Picked up at my local Home Depot locker on time. Simple installation. Works great for small linen closet door in bathroom. Rated 5 out of 5 by Birdie66 from I used this to keep my air handler for shut. It works as promised. I used this to keep my air handler for shut. It works as promised. Rated 5 out of 5 by Tom from Handsome, solid, and strong!... Handsome, solid, and strong! Rated 5 out of 5 by TediMom from These door catches were much more sturdy than the original ones that came with our Plantation Shu... These door catches were much more sturdy than the original ones that came with our Plantation Shutters, we are very happy with them. Rated 5 out of 5 by Rena52 from Great for replacement of the smaller weak plantation shutter magnetic... Great for replacement of the smaller weak plantation shutter magnetic door catch and strike. These will last for ever.